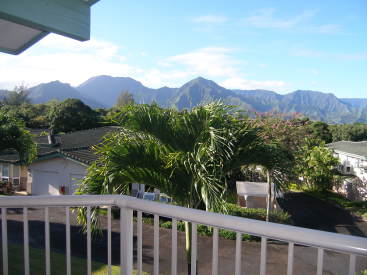 Beautiful Mountain and Waterfall views from Villas of KamaIi’i 46 located within a private gated community in Princeville. This three bedroom/three bathroom townhouse offers spectacular mountain and waterfall views. The popular split-level floor plan welcomes you with a vaulted ceiling foyer and a bedroom and 3/4 bath along with the garage access. 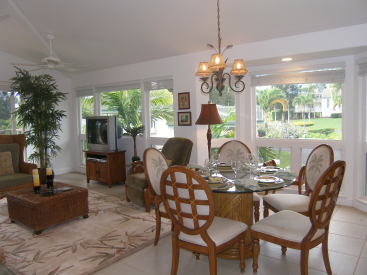 Just a few steps you find yourself in the great room, kitchen, dining and an upper lanai. Tile flooring in the entry and great room/kitchen. 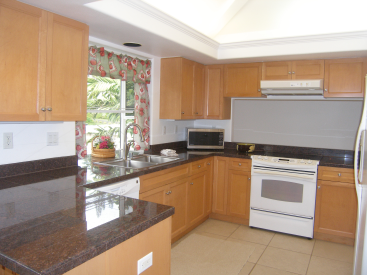 Kitchen has beautiful wood cabinets, granite countertops and GE appliances. 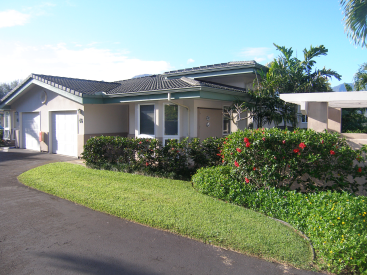 You will also find one of the two master bedroom/bathroom suites with its own private lanai on this level. 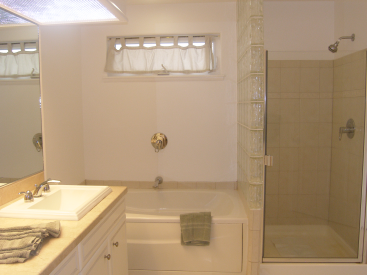 The large master bathroom has a glass block walk-in shower and dual sinks. The lower level master suite also has its own private lanai plus an additional sitting area. This master bath has a shower and jetted bathtub and dual sinks. The laundry area is also on this level. 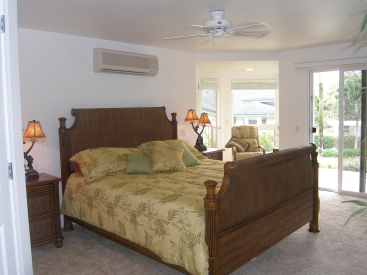 Air Conditioning units are located on the master bedrooms. New carpeting in the bedrooms. Single car garage. Villas of Kamali'i is a gated luxury Community adjacent to the redesigned Makai Golf Course and walking distance to the ocean bluff, the St Regis Hotel, restaurants and shopping at the Princeville Shopping Center. Hanalei Beach is just a few minutes away. Amenities include a swimming pool, spa, barbeque area.